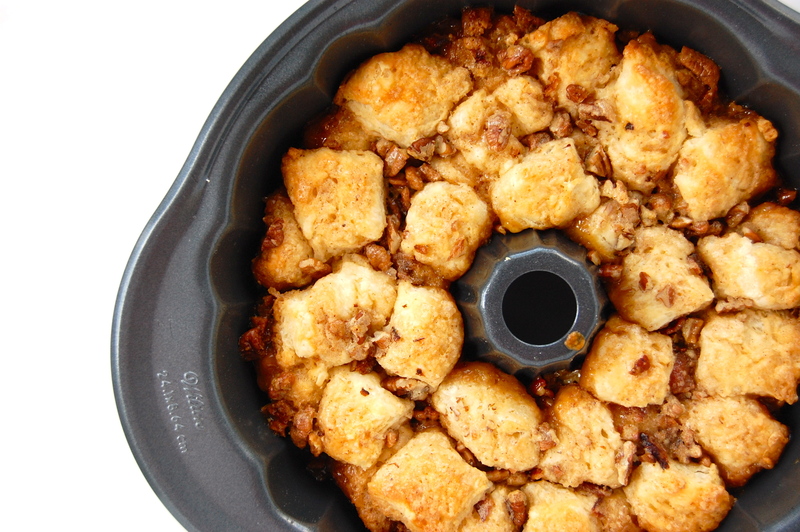 I think the first time I made monkey bread was in 7th grade Home Ec class. There’s a big throwback for you! I actually remember a good bit about the class. 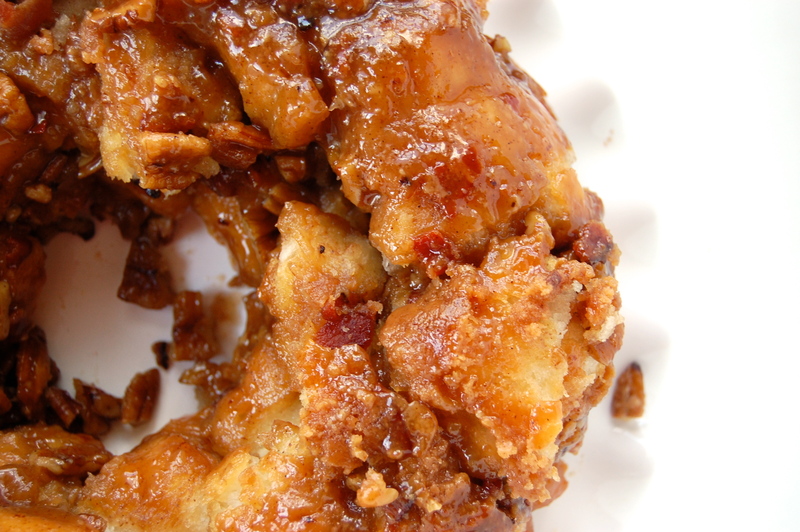 I believe the most difficult meal we prepared was fried chicken. 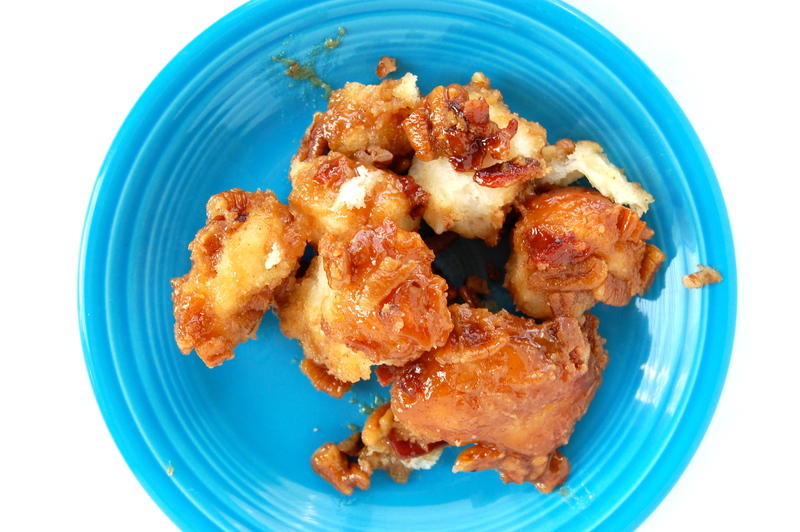 Just imagine – four or five groups of middle schoolers congregated at their kitchen stations prepping a raw chicken and then frying it. I’m pretty sure there was a small fire somewhere during the process. We had so much fun though and definitely learned a lot. Looking back, I have so much respect for my teacher! I don’t know if I would want to oversee that! 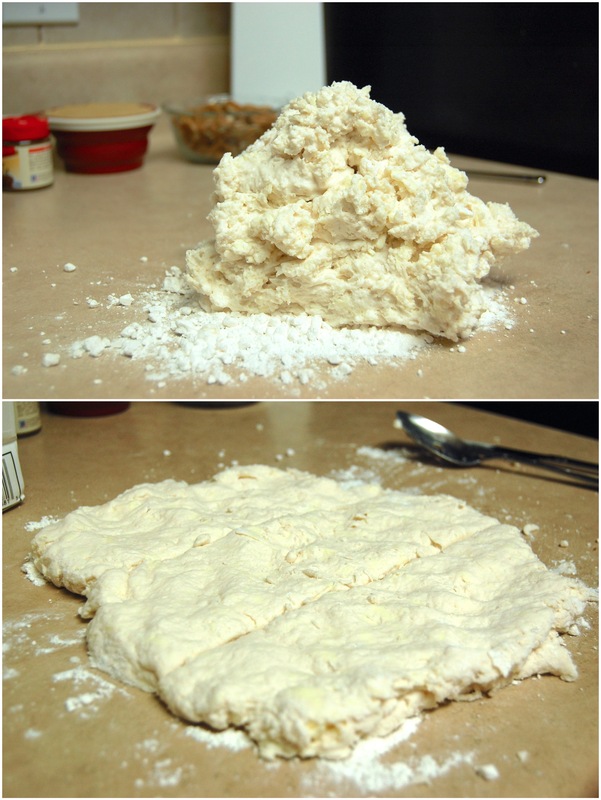 The recipe called for “1 16-ounce loaf frozen sweet roll dough” for the bread portion of the monkey bread. As you have probably already gathered from my earlier statements and the above picture, I didn’t use that. Why? Well, mainly because I couldn’t find it. Anywhere! 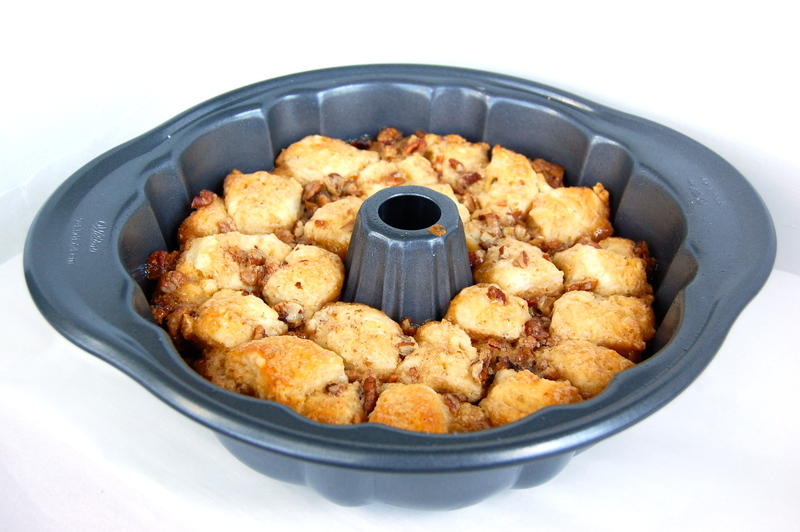 I have seen several recipes that call for frozen sweet roll dough, and I have just not been able to find it anywhere. Maybe it’s the area of the country I live in? I don’t know. Have you ever seen something like that before? I really would love to know, so please do tell me if you know where to find this mystery dough! Anyways, my husband is pretty fantastic at making biscuits, so I thought it would be fun to get him to mix up some dough for me. Problem solved! 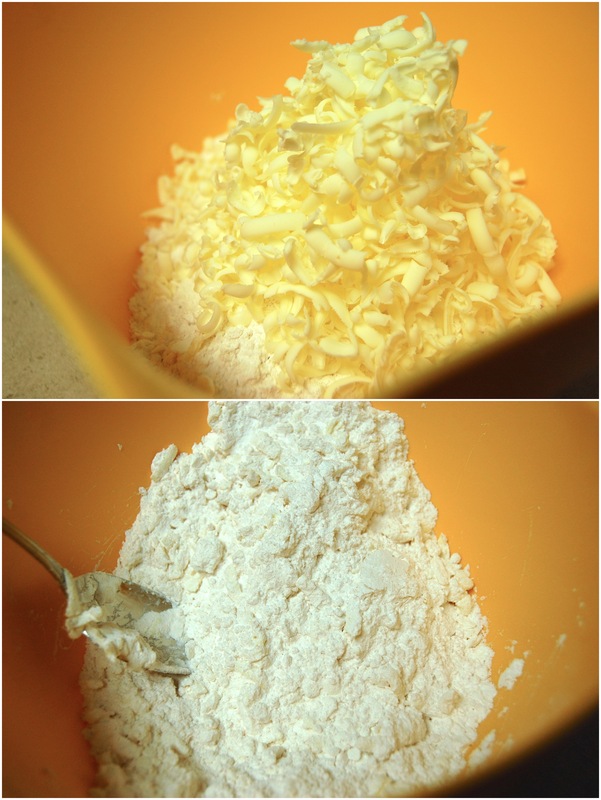 To begin, he put self rising flour in a mixing bowl and then grated frozen butter on top. This method is basically the same as cutting butter in with a pastry blender, but it looks a little cooler. 😀 When the butter was grated, he gently folded the mixture together and then set it in the fridge so the butter would stay nice and cold. While the beginning of the biscuit mixture was in the fridge, I started on making some Maple-Nut Butter. 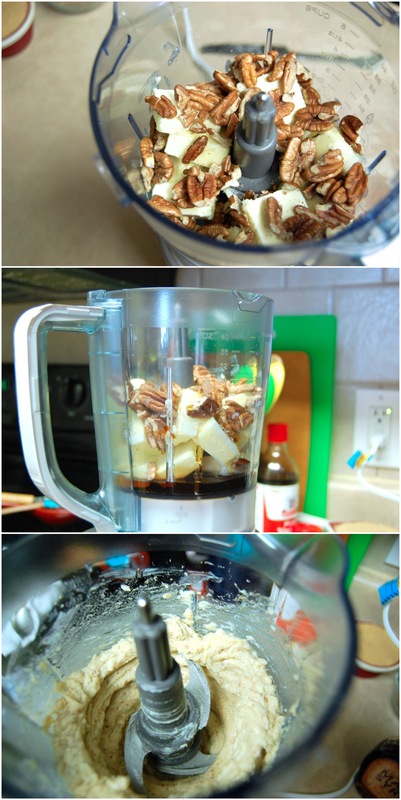 Just as the name indicates, this is a mixture of butter, pecans, and maple syrup. 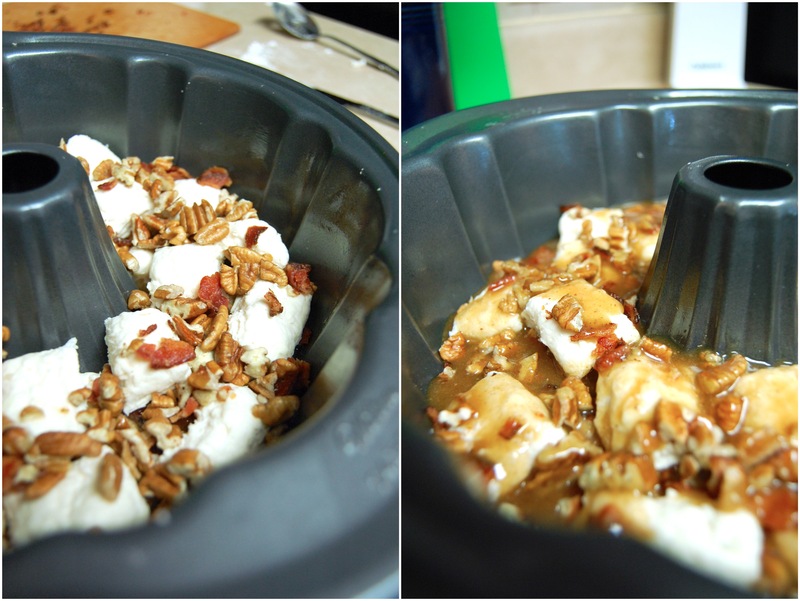 I added all three to the blender and mixed until the nuts were in very small pieces. This is a really tasty flavored butter, but I would cut the recipe in half next time since there was a lot left over after making the monkey bread. 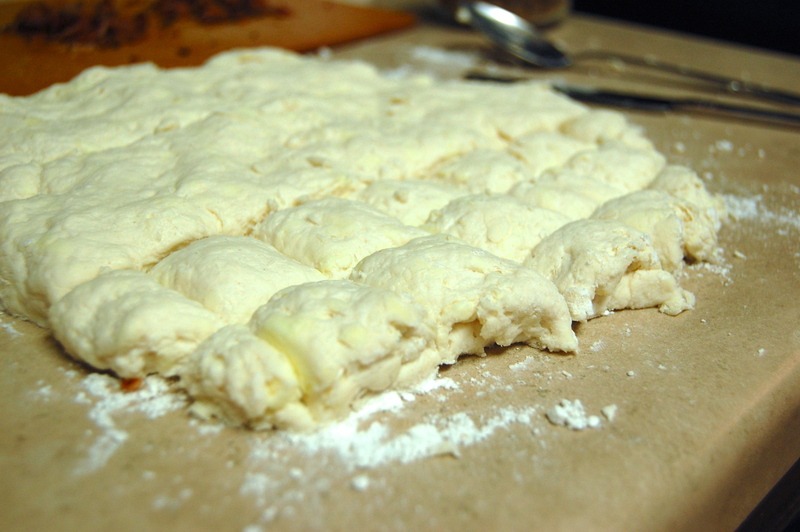 By this point, the flour and butter mixture was nice and chilled, so we switched gears back over to biscuits. 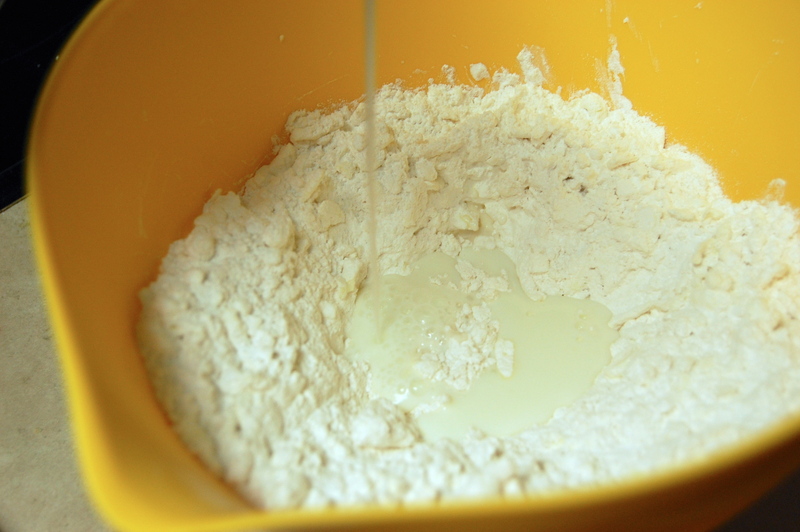 The next step was to making a well in the center of the flour and pour in buttermilk. After stirring the mixture together, hubs turned it out on the counter and then kneaded and flattened it out. He’s the best y’all. Once the mixture was melted together, it was time to start the assembly! I cut the biscuits in 1 inch squares and then alternated layers of biscuits, bacon, pecans, and sauce until everything was in the pan. 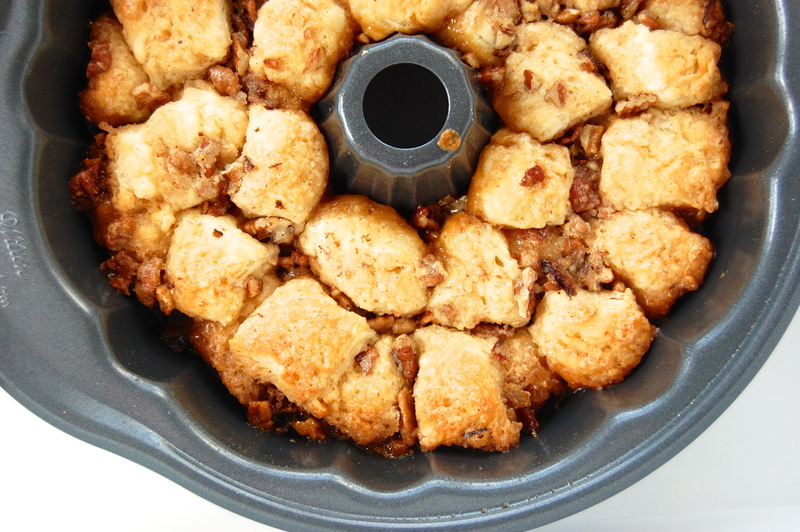 The pecans turned out to be my favorite part of the monkey bread. 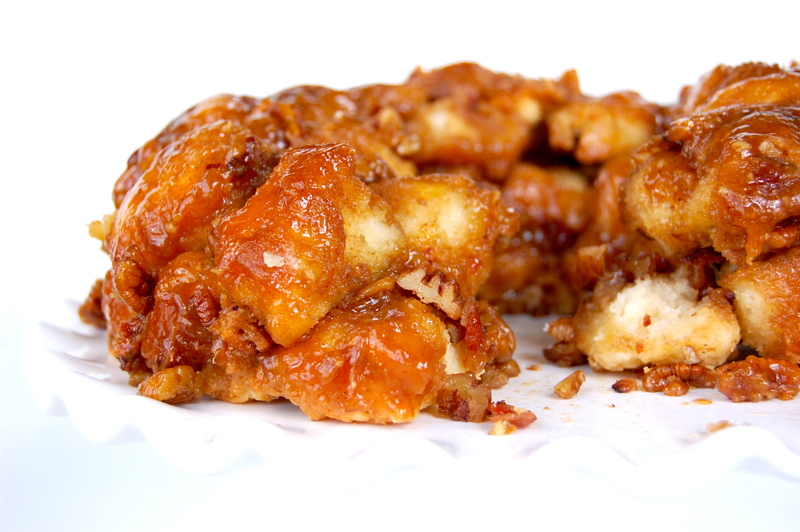 They basically turned into candy because they were coated in the sauce while baking. Mmm. 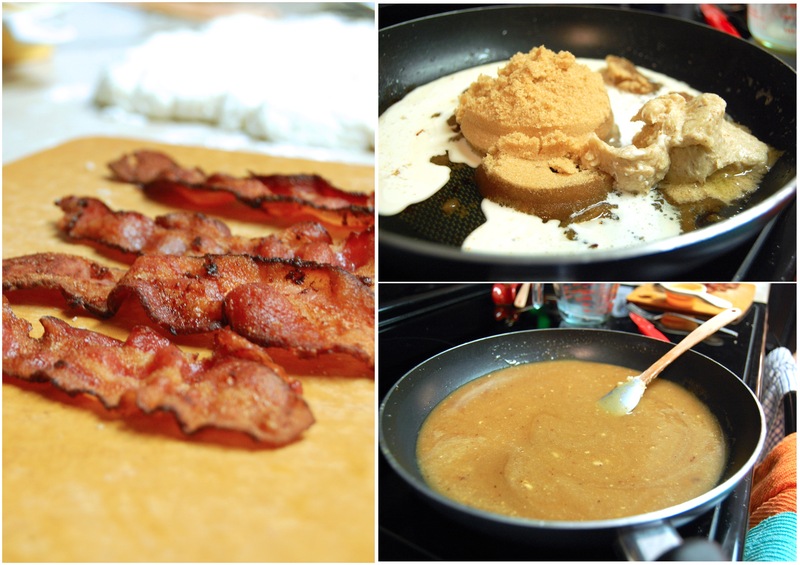 The light and fluffy biscuits mixed with the sugary pecans and bacon… yep. You should try this one for breakfast sometime! You will have the kids raving. 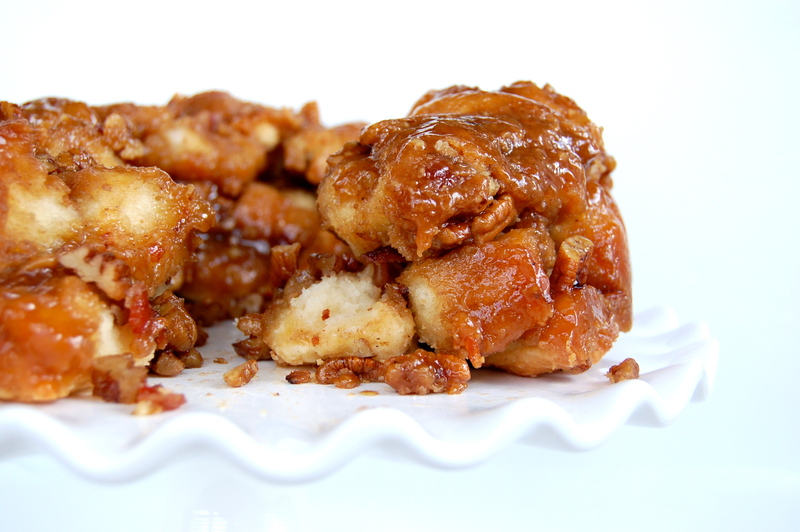 Thanks for coming by to visit and I hope you enjoyed this tasty Brown Sugar-Bacon Monkey Bread! I’m sure the flavor would have been a little different using the bread loaf instructed in the recipe, but I thought the biscuits did great! 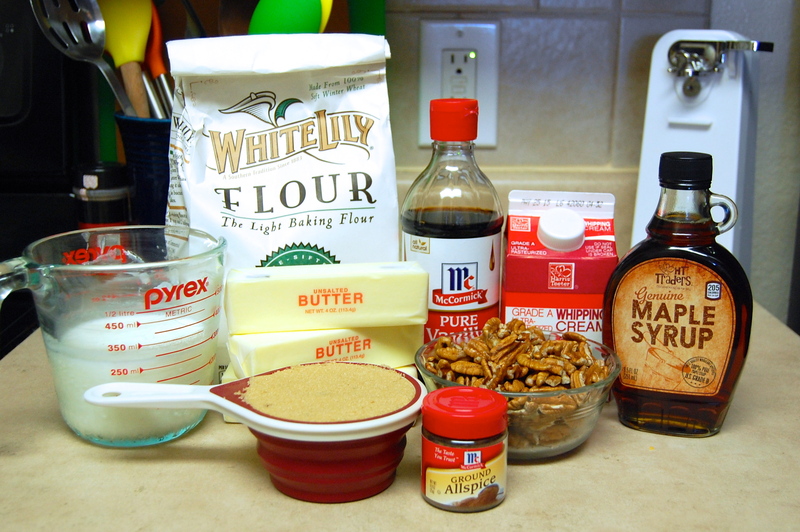 If you want to make it for yourself, here is the recipe! Oh, hey, guess what? Next week is WEEK 52. That’s ONE YEAR! ONE FULL YEAR OF BAKING & BLOGGING! I will have made it through The Baking Challenge! Ahhh!! Sorry for yelling so loud, I’m just really excited. 😀 Be sure to come back to visit next week. I hope to have some fun and exciting things to share with you! Until then, happy baking! My boyfriend is a massive fan of American style bacon and maple syrup flavour combos in anything, he would absolutely LOVE this! 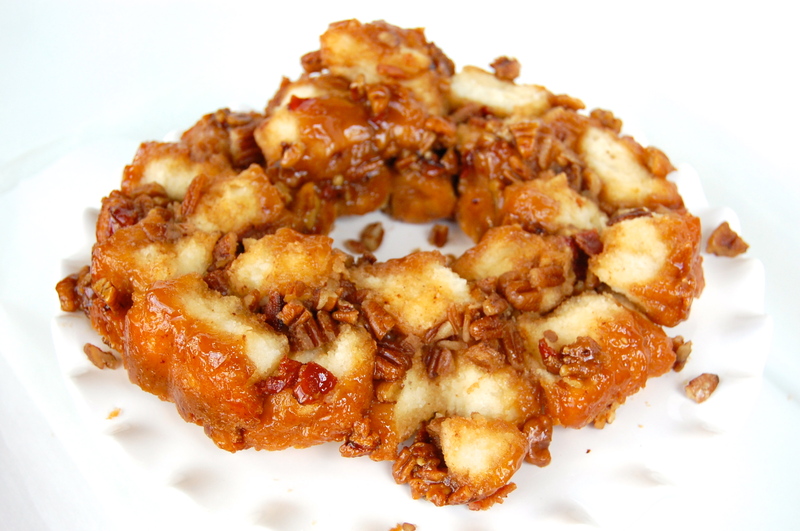 And I love the sound of the candied pecans, and the dough, and oh god, I think we are going to have to make this sometime! Congrats on your year of blogging! Time flies when you’re having fun right?! How much of ‘Baking’ do you have left to make? Lots I hope, for our sake! 🙂 Thanks for coming and sharing at Fiesta Friday! Thank you so much! It has been a fun adventure, and it has flown by! I actually just finished my challenge of 52 recipes from the book, but I’m not going anywhere! Everything from here on out may not be out of the book, by I’ll still be baking and blogging away. There are just too many delicious things to make. 🙂 Thanks so much for stopping by! 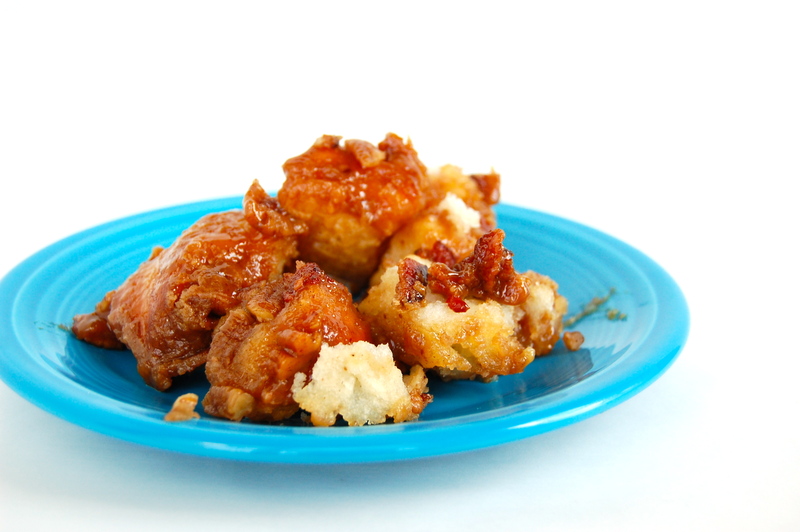 Monkey bread is the best, and what a delicious twist with bacon in it. My kids would love it! Thank you so much! The bacon was definitely a hit!